Jump start your preschooler into S.T.E.M. 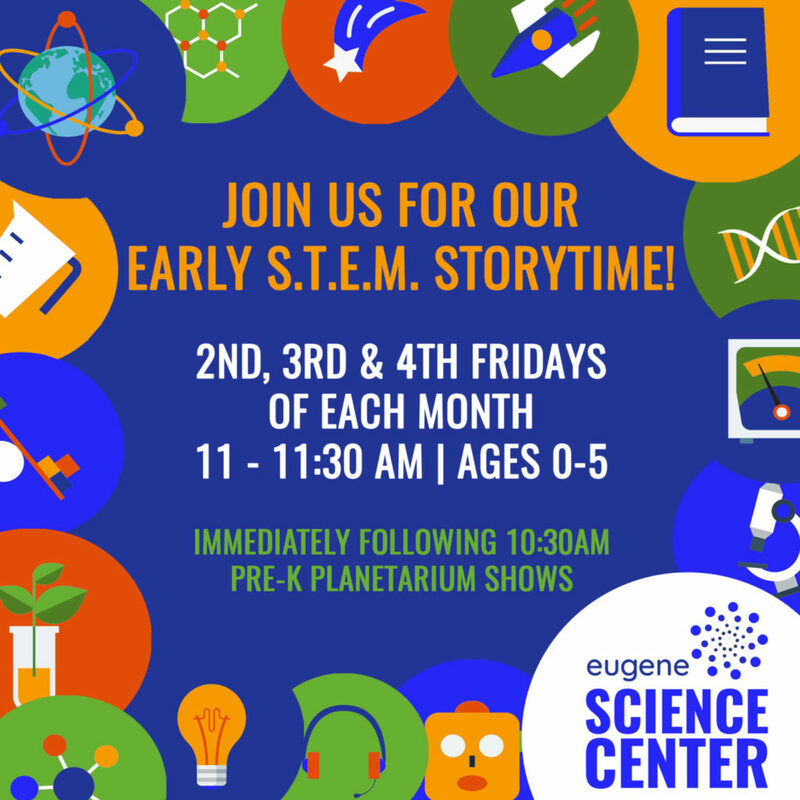 (Science, Technology, Engineering, and Math) education with the Eugene Science Center’s new storytime. Join our engaging educators as we read a story and lead a hands-on activity designed for early learners. Each storytime is a unique expansion of the Tot Discovery Day theme from the first Friday of the month. Early S.T.E.M. Storytime is included with Exhibit Hall admission.